You are looking for extraordinary light fittings? Congratulations, you have found the right place! For more than 20 years we have delivered designer luminaires to places all around the world. We are fascinated by unusual design ideas, innovative technical novelties, and sometimes just by a well-made product. 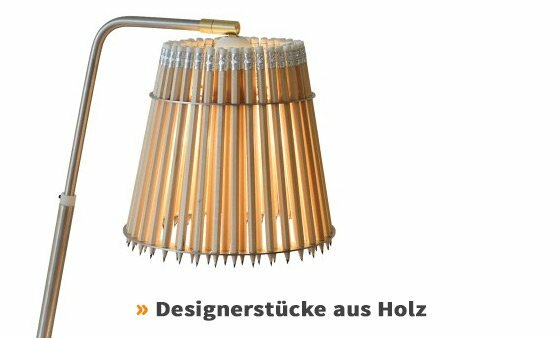 In our webshop you will find more than 14,000 light fittings – from extravagant and colourful to scandinavianly cool. Browse our portfolio and discover the whole world of lights & lamps. We want to share our passion for good lighting with you and help you add that proverbial “extra spark” to your rooms! If you should ever feel lost in our extensive collection, our staff of 35 employees will help you quickly and without any obligation on your part. We are also always ready to provide the complete lighting design for offices, bedrooms or even whole houses. Thanks to our in-house electrical installation team we are well acquainted with all technical questions and specifics. Therefore we can offer a broad range of services, which will cover all your lighting needs. Your security while shopping online is of utmost importance to us. In order to keep your shopping experience as comfortable and as safe as possible, we have encoded our whole shop with an SSL encryption. This means everything you do on our website will not be visible to third parties. Additionally we have introduced several further security measures: We save no credit card information on our servers, only ask for the most necessary personal information, and adhere to the guidelines of Trusted Shops. You have the choice between several secure and comfortable payment options, from Paypal to traditional advance payment by wire transfer. To ensure fast and reliable delivery we work with several different parcel services. Deliveries outside of Germany are handled by our dependable partners DPD and UPS, as well as specifically chosen haulage contractors. Of course our collection of light fittings is not limited to indoor spaces. In the category Outdoor lamps you will find a suitable luminaire for any application. Light your pathways and facades or simply create a comfortable atmosphere in your garden. Your imagination is the limit: Thanks to a vast range of light fitting forms and variants you can put your own mark on your outdoor areas. To guarantee your long-time satisfaction we make sure to only choose products of utmost quality when it comes to our outdoor products. As beautiful as a quality light fitting can be: Of course, there are other ways to bring your rooms to life. This is why we have expanded our product range with exciting and high-quality furniture and accessories. From designer wall hangers and precious vases to top-quality items for your bathroom, you will find excellent products even outside of the world of light fittings. And if exclusivity is what you are after: Sneak a peek at the ethanol fireplaces by Radius Design. 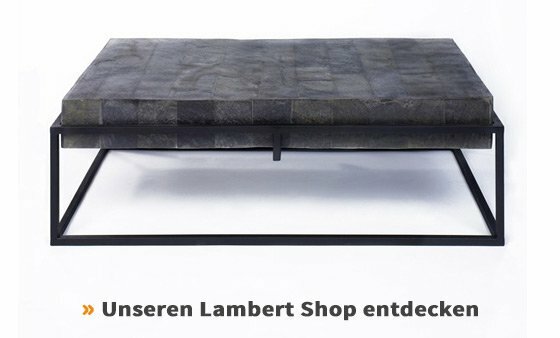 And while we are talking about top-quality, exclusive products: For several years now we have provided you with the chance to acquire exclusive designer products from the renowned manufacturer Lambert. We even created a new online shop for this purpose. Sneak a peek at www.moebel-shop-bochum.de. » Secure servers and strong privacy protection. We take the security of your data seriously! » When paying in advance you will receive 3% cashback on the invoice total! » We offer more than 100 brands and 14,000 light fittings from all over the world. » More than two decades of experience as specialised dealer for high-quality lighting!